It’s challenging to change gear and move into autumnal activity right now whilst we are experiencing this balmy Indian Summer. With fully blown hot sunny days and balmy evenings, thoughts of pumpkins, tonal leaf shades and pine cones are difficult to muster. The chickens are experiencing this too. By mid-morning they are impatient for release from their parched, browned-off pen, eager to wander the wider garden to peck at their whim, insects and fresh growth sprouting near a leaky tap or within a spray of the irrigation system. I know this because their early morning amiable banter escalates to irritable clucking and crowing. When I finally give way to this vocal pressure and wander out to their enclosure, they bustle to the gateway with incredible urgency and push past me like peak hour commuters on a city train station. I am pressing on with my autumnal plans regardless, because winter vegetable seeds will not sow themselves and new season’s apples will not be so new in six weeks’ time. As such, the weekend just past, focused significantly on both. 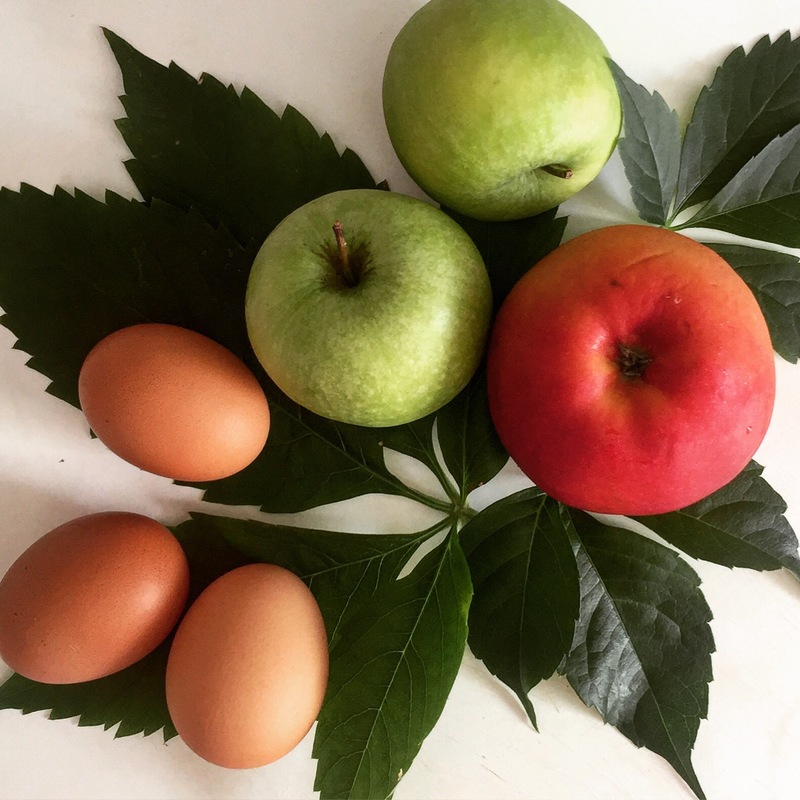 With a plan to sourcing more of our family’s food locally, some recent Googling led me to the discovery of Staples Apples a local grower on the Mornington Peninsula. 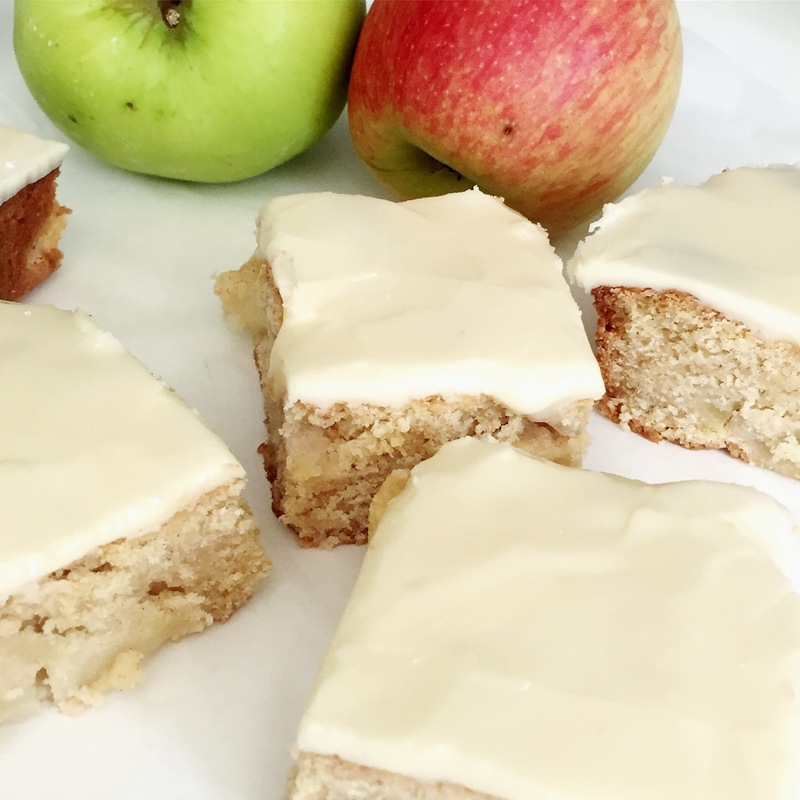 It will be another month before their shed sales begin, and in anticipation, I have sourced a recipe for an apple slice that I having been wanting to try for some time. As a child, when given the choice in a bakery, I would always seek out an apple slice. Arranged on wire racks behind the glass counter, I would spy these luscious sugary topped squares and no amount of cream or chocolate coating could sway me. Handed across in a brown paper bag with the top corners twisted for added security, the apple slice was indeed a memorable childhood treat. When I’m inspired to create in the kitchen, a month might as well be an eternity, so the apples sourced from our local IGA clearance basket languishing in the second drawer of the crisper were going to have to stand in. Once the apples were diced and combined with the remaining ingredients, the nice thick appley dough came together to be pressed into the tray and baked until golden. After drawing it from the oven, I could have sprinkled the top with sugar and left it at that, but my baking vision was more of a dense fruity slice smothered in thick vanilla icing. So summoning patience, I let the golden beauty cool off in it’s baking tin and then whipped up a white glossy topping. Once set, the tray bake was scored, sliced and met with overwhelming approval. Pre heat oven to 170 degrees, grease and line a 20 x 30 cm slice tray. Allow the lining paper to extend over the sides to make the baked slice easy to remove. Combine apples, flour, sugar and cinnamon in a large bowl. Beat egg into cooled melted butter. Stir butter mixture into apple mixture. Press this firm mixture into the base of the lined tray. Bake for 30 minutes or until nicely browned. Cool in the tray and then ice. Make icing by mixing icing sugar, vanilla extract and enough water to make a thick icing. Spread over slice and when icing has set, turn slice out of tray and cut into squares.